Over the past several years, the skills gap has been top of mind for U.S. manufacturers. In 2014, it was reported that more than 75 percent of manufacturing respondents had a shortage of skilled workers, particularly in positions requiring more than a high school diploma, but less than a four-year college degree. Research from the Manufacturing Institute and Deloitte predicts there could be as many as 2 million unfilled manufacturing jobs by 2025, up from initial estimates of 600,000. Baby Boomers are aging and retiring and there are simply not enough skilled workers to fill the positions they’re leaving. Although the manufacturing industry has seen incredible net growth over the past couple of decades, manufacturers are challenged to find a solution to keep up with demand. As individuals and as a collective, there is the prospect of bringing up a new generation of highly-skilled workers. Consider this: The Millennial generation is more than 77 million strong. With proper training programs and recruitment efforts in place, this generation can help usher in a new era in the manufacturing industry. Reinvigorate talent development (i.e. in-house training, internships, and apprenticeships). More manufacturers are developing partnerships with local trade schools and colleges, and implementing in-house mentoring and internship programs. These partnerships are not only helpful for teens and young adults entering the industry, but for seasoned employees looking to advance their skill set. 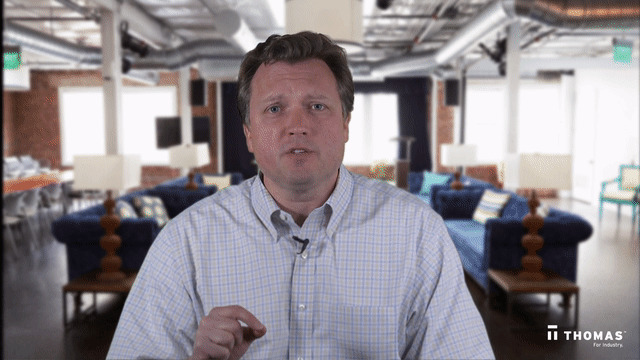 Don't let your employees resist new technology out of fear or lack of understanding. Implement continuous learning in your workforce as technologies and business practices quickly evolve. It's also important to note that we now work in a modern workforce. Manufacturers are now encouraging potential retirees to stay on by offering flexible schedules and work-from-home opportunities. To meet the demands of the growing manufacturing sector, industry leaders need to create a cultural workforce that extends beyond the shop walls and supports a continuous learning culture. As you've already noticed, the customer buying journey is not the same as it was a few years ago — and it's still evolving. Manufacturers need to be more customer-adaptive, which means innovation and business agility is key. The digital revolution is affecting all areas of business, but the reality is that digital marketing is the current and future state of industrial sales and marketing — and it's a challenging one. This new industrial connectivity driven by new technologies is what is referred to as "Industry 4.0" and although, 85% of businesses see the potential of Industry 4.0, only 15% have dedicated strategies in place. B2B buying habits will continue to shift and marketing trends will continue to evolve with them — almost daily. It's understandable to not know where to start and be reluctant in adopting new technologies, but you're not alone in the digital transformation revolution. 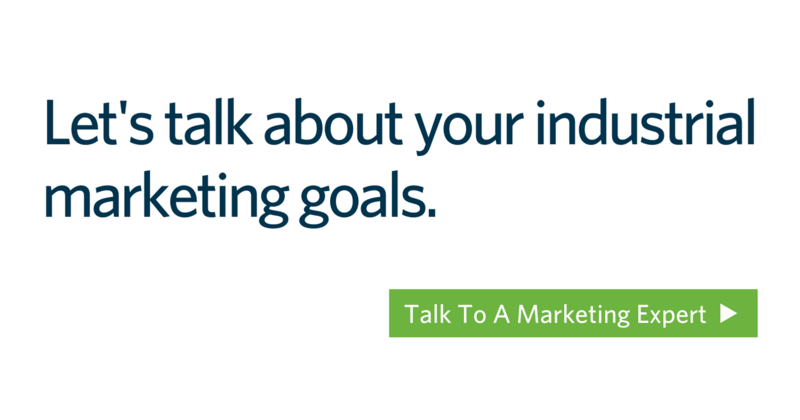 Hire a marketing agency with industrial expertise to help — someone who has been right where you are as a small business, tackled the challenges of the modern workforce, and succeeded. A manufacturing marketing agency can help grow your business because they understand the challenges your B2B buyers face and the opportunities you can take advantage of to meet their needs. Interested in learning more about the buying process and which steps in the process present the biggest opportunity for you? Download our free research study, How To Meet The Needs Of Your Buyers. Automation in manufacturing has been transforming factory floors for years. But properly integrated automation has the ability to advance a plant for the better — and implementing these technologies strategically is the challenge. Similarly speaking, humans working alongside robots is not the future of the manufacturing industry, it’s the here and now. Robotics is poised to influence the industry for many years to come. According to Boston Consulting Group research, spending on robotics worldwide will quadruple from approximately $15 billion in 2010 to about $67 billion by 2025. The industrial sector will grow at the fastest rate — from $5.8 billion to $24.4 billion. By next year, there will be up to 30 billion connected devices with unique IP addresses. Many of these will be industrial products, so incorporating new technology to your shop floors and manufacturing workflow will be a fundamental piece in the future of U.S. manufacturing. And good news for small and medium size shops — as robotics advances, it’s also becomes more affordable. They are a competitive advantage, simultaneously helping to battle competition from overseas and the manufacturing skills gap. Robotics, conveyors, and machinery can see better and think better than ever before. A truly connected production line has data points throughout the warehouse and together they create an extraordinary volume of information. To thrive in this new data-rich era, manufacturers need to improve data mining from the plant floor. Paired with smart software systems, these new technologies are making it easier to find efficiencies, assign labor, and balance different elements of the complex systems — based on real-time information rather than assumptions or prior experience. It's an amazing time saver so you can focus on other things in your manufacturing business! Ensure you have systems need in place to harness this information, analyze it, and translate it into actionable changes. Regardless of how large or small your shop is, these technologies driving Industry 4.0 is a market opportunity for every manufacturer — check out our six steps to prepare your company for Industry 4.0. Is Your Manufacturing Business Seizing The Opportunity? The U.S. manufacturing industry is facing unprecedented challenges, but there is a bright future ahead. One thing is for certain: Manufacturers can no longer afford to think about their systems, processes, and labor force in the same way. It’s time to innovate and figure out new (better!) ways of getting the job done. Whether it’s optimizing the production line, improving employee satisfaction, or incorporating new technology, it’s an opportunity to build the future of not only an organization, but the industry as a whole. 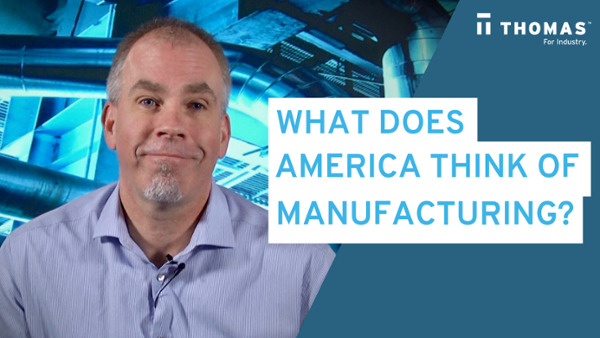 Through ingenuity, agility, and technology, the U.S. manufacturing industry will be able to overcome its challenges and usher in a new era for manufacturing. Contact one our industrial marketing experts to see how you can tackle these manufacturing challenges and turn them into opportunities to grow your business.